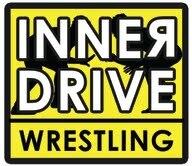 Inner Drive Wrestling is a year-round organization in Rochester designed to give wrestlers an opportunity to develop and maintain an edge over the competition. Below are the ZM wrestlers signed up for Inner Drive. It’s not too late to join. Please contact Jen Steffen at steffen.jennifer@mayo.edu to sign up. When: June, July, August, every Monday and Wednesday. Times are in sign-up sheet. Transportation: Meet in HS parking lot in Zumbrota at 5:15. If each parent/wrestler can volunteer a night or two we should be covered. Drivers: We will try for two drivers each night and there will likely be HS drivers. If this is an issue you will have to arrange your own rides. Wednesday, June 25th: Link Steffen, ? What should my wrestler bring to his first practice: Print off the waiver form and Inner Drive sign-up sheet. Fill out and send with your wrestler. They can’t practice without them signed and delivered. Bring workout gear, soap, shampoo, and a towel. I strongly recommend all ZM wrestlers shower there before coming home. To keep in mind: Elementary kids wrestling goes 1 hour later than hs kids (7:30-8:30). If we have elementary kids the first two nights next week, I will stay late and bring them back. After the 2nd night, the driver(s) will have to work out this elementary situation. 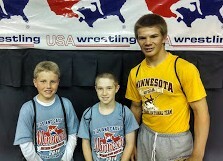 Caden Steffen, Michael Majerus, and Ryan Lexvold attended the Northern Plains Kids/Cadet Regional in Fargo last weekend. They wrestled in both the Greco and Freestyle events. Caden placed 2nd/2nd, Michael 3rd/3rd, and Ryan 4th/4th. Isaiah O’Reilly and Cole Poncelet also wrestled in the Southland Summer Smash on Friday night.